Who Needs Bone Conduction Headphones? 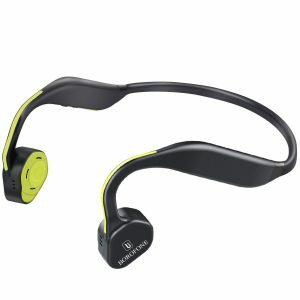 Have you ever come across bone conduction headphones while searching for a new pair of headphones for running or cycling and moved on thinking why would I need these? Well, you might actually benefit from these headphones, you just don’t know that, yet. 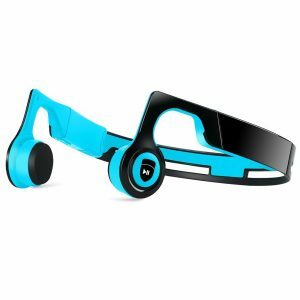 Our article on 9 best bone conduction headphones is designed to answer all the questions about bone conduction technology and bone conduction headphones. We are going to explain all the things you need to know about bone conduction, list all the differences between these and traditional headphones, and put an emphasis on the advantages of bone conduction. We are also going to talk about all the downsides of using bone conduction headphones. If you are familiar with the concept of bone conduction and you just want to find the right pair of bone conduction headphones, you can immediately jump to our list of 9 best bone conduction headphones. You will find some great options here. In the end, we are going to discuss all the important features that you should take into consideration when buying bone conduction headphones and warn you about some common issues you might experience while using this type of headphones. There are two different ways of sound conduction – one traditional and ‘’more logical’’ called air conduction and the other, ‘unusual’’ way called bone conduction. When a sound wave is conducted through the air, that wave has to travel from the sound source, through the air, to your outer ear, and then through middle and inner ear, all the way to cochlea. The sound wave is then being transformed into an electrical signal and sent to your brain. The path is much shorter when the sound is being conducted through bones but the source of sound needs to be in contact with your head (it usually rests on your temporal bones) in order for the sound vibrations to travel through these bones, directly into your inner ear. That way, outer and middle ear are being bypassed. This fact gives you a hint on who is going to be very happy with bone conduction headphones. All the people suffering from different types of outer and middle ear damage will find these headphones very helpful. These two things (medium and path) cause all the other performance-related differences between traditional headphones (air conduction headphones) and bone conduction headphones (they also determine the design and the working principle of bone conduction headphones). Bone conduction technology (not bone conduction headphones) is almost 2 centuries-old technology. There’s a story about Beethoven, famous German composer. As you probably know, he was deaf. In order to hear the music, he used a wooden stick. The stick was attached to the piano, and he was holding a stick with his teeth while playing the piano. That way, all the sound vibrations went from piano, through the stick, and then through his jaw bones, to his inner ear and he was able to hear it. That was probably the first recorded application of bone conduction technology (of course, Beethoven didn’t call it bone conduction). More than 15 decades after this first application, bone conduction technology was applied again. At first, bone conduction was a military technology, used for making communication devices (headsets). The armed forces needed a communication device that would enable communication and leave the ears open in order to improve awareness and bone conduction headphones were a viable option. After military application, bone conduction technology was then applied in medicine. In 1977, a hearing aid device called BAHA was implanted for the first time into a human skull. BAHA device uses bone conduction technology and allows people with all kinds of hearing damage related to middle ear, ear canal, eardrum, and outer ear to hear again. Up until today, this is the most useful application of bone conduction technology. The first commercial pair of bone conduction headphones was introduced only recently, in 2012. In 6 years period, they haven’t become extremely popular but they are still here and some people find them very useful (read about this in ‘’Who needs Bone Conduction Headphones?’’ section). It would be interesting to see some of the biggest and most reputable headphone manufacturers involved in this part of the audio industry but, at the moment, there is only one big name when it comes to bone conduction headphones and that’s AfterShokz. You will find a couple of AfterShokz headphones on this list, too. As you know, all the differences between traditional and bone conduction headphones come from the different medium (AIR VS BONES) and different paths. The first and most important thing you should know is that bone conduction headphones are nowhere near traditional headphones (no matter if they are on-ear, over-ear, in-ear) when it comes to sound quality. Even those really expensive bone conduction headphones (AfterShokz Trekz Titanium and Trekz Air) are not as good as some average traditional headphones. So, if you are looking for high-fidelity sound, you are in the wrong place. Traditional headphones offer much better sound quality with much cleaner and punchier bass than bone conduction headphones. Bass response is probably the worst thing about bone conduction headphones. On the positive side, bone conduction headphones leave your ears open and allow them to breathe. If you can’t stand having your ears covered or having something inside your ear canal, bone conduction headphones might be the solution you’ve been looking for (the earpieces of bone conduction headphones usually rest on the temporal or lower jaw bones (mandibles), right in front of your ears). Because of this open-ear design, bone conduction headphones make you more aware of your surroundings. You will be able to hear all that’s going on around you while listening to music, and if that’s something you prefer, bone conduction headphones are the best choice. This section is a natural sequel to the previous one. All the advantages of bone conduction headphones come from their design (that’s the most important thing for people with normal hearing) and from their working principle and type of sound conduction (and this is the most important thing for people with different types of hearing damage). 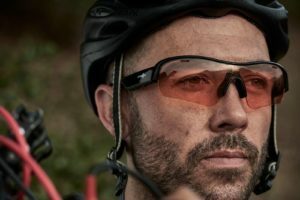 So, if you have normal hearing, and you are looking for a pair of headphones for cycling, running, or for any other outdoor, or even indoor activity (like office jobs) and you need something that would allow you to stay aware of your surroundings, you might be happy with bone conduction headphones. Your ears will be open, you will hear everything around you, but you will also hear the music (or rather feel the vibrations). The sound quality won’t be perfect and you won’t be immersed in music, but if staying aware is your priority, you won’t be disappointed. In some US states it’s illegal to cross the street, drive a vehicle, or cycle with headphones (or earbuds) covering (or plugging) both of your ears. Having one earbud inside your ear, or one headphone on/over your ear is usually allowed, but it’s inconvenient. So, the only solution is bone conduction. Your ears will not be covered or plugged in any way and you won’t be breaking the law. Even more important, you will be more aware of the traffic, and you won’t put yourself or someone else in danger. The group of people that’s going to benefit the most (at least, in our opinion) from using bone conduction headphones are all the people with different types of hearing impairment and hearing loss (especially those suffering from conductive hearing loss). Bone conduction enables transferring of sound wave directly to the inner ear which means that outer ear, ear canal, eardrum, and middle ear are all bypassed and if hearing loss is caused by the damage (or infection) of one of these bypassed parts, you will be able to hear the music again. This can be a life-changing event for people with hearing loss, it’s something that could make living with hearing impairment much easier, and that’s why we think that those people are going to understand the true value of bone conduction headphones. You will see this brand popping up over and over again. And it’s not the problem with our list. Look at any other list, there are always at least two pairs of AfterShokz headphones and that’s inevitable. AfterShokz is, at the moment, the best brand when it comes to bone conduction headphones. AfterShokz is a Chinese company. During the 1990s and 2000s, AfterShokz made bone conduction headphones for Chinese Armed Forces. 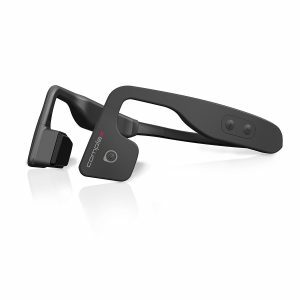 In 2012, AfterShokz introduced the first pair of bone conduction headphones made for civilians. These were named AfterShokz Bluez. We have decided to start from the latest and most expensive AfterShokz model called Trekz Air. 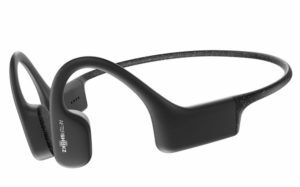 These are definitely one of the best pairs of bone conduction headphones you can find but even they are not perfect and you might experience some issues while wearing them (and you won’t be perfectly happy with the sound quality). AfterShokz Trekz Air headphones come in a premium box (it would be a surprise if it wasn’t premium considering the price). The whole presentation looks really nice. Inside the box, there is one pair of Trekz Air headphones, soft carrying pouch made of some rubbery material, one pair of earplugs (you can use them to plug your ears and hear the music better, which sounds a bit strange but it’s the truth), charging cable, instruction manual, and 2-year warranty card. Trekz Air look stylish and sporty at the same time. Two earpieces are connected with really thin, but still, very strong neckband. Three versions are available – forest green, slate grey, and midnight blue. The manufacturer says that these headphones are made of titanium and then covered with a protective layer of silicone. We haven’t checked about the titanium but we can say that they look and feel pretty durable – you can twist the neckband as much as you want and it won’t break. The earpieces are kind of plasticky, but even they feel sturdy. In addition, these feature IP55 rating, which means they are water resistant. So, you can wear them while running or working out and they won’t break – heavy sweating is not a problem. IP55 does not mean they are completely waterproof and you can’t swim while wearing them. Aftershokz Trekz Air excel in the comfort department. They have all the characteristics of comfortable headphones. They are light (1.06 ounces), they don’t put too much pressure on your skull, they go over your ears and don’t hurt the ears. They are also wireless and you won’t have to deal with cables. There is not one bad thing that we could possibly say about the comfort. Controls are simple and easy to use. On the left earpiece, there is one multifunction button. You can use it to play/pause the playback or answer/end phone calls. On the right neckband arm, just behind the earpiece, there are two volume buttons (+ and -; + is also used as power and pairing button) and a small rubber flap covering micro USB charging port. The good thing about these headphones is that volume controls on the headphones are synced with volume controls on your phone (if you change the volume on the headphones it will be changed on your phone, too). Predecessors of these headphones (Trekz Titanium) had independent volume controls. On the right earpiece, you will find a small built-in mic. Trekz Air headphones feature Bluetooth V4.2 and offer 33 ft range. The connection is pretty stable, there was no signal loss during our testing (maximum distance – approx. 30ft). They can be paired with two (or maybe more) different Bluetooth-enabled devices at the same time. Pairing is simple – you have to hold the + plus for about 5 seconds (you will see blue and red lights blinking) and then find Aftershokz Trekz Air among available Bluetooth devices and pair them. There is no NFC and we’ve expected it considering the price, but this is not such a big issue (it’s not an issue at all if you have iPhone). Battery offers up to 6 hours of listening (at 60-70% volume) or it can be in standby mode for up to 20 days. Recharge takes about 2 hours. The sound is not perfect. It’s kind of bright. Mids are clean and articulate, but far from being detailed, highs are there, you can definitely distinct them, but there’s a lot of room for improvement. We could compare the sound with some relatively quiet music playing in the background. They are not loud and they don’t isolate anything since your ears are open. Built-in mic works fine in a quiet environment but becomes almost useless in a noisy environment. Note: Have in mind that these reviews are written by a person with normal hearing. People with different types of hearing impairment would probably have a much better appreciation of these headphones. The sound is not the best feature but we can tolerate mids and highs, but the bass is really weak. Maybe it has something to do with their tightness. If you press them just a little bit tighter to your skull, you will get significant improvement. They should be a little bit tighter. You would lose a little bit in comfort department but you would get much more in the sound quality department. We’ve mentioned that they are not too loud but they still manage to leak a certain amount of sound. If you raise the volume above 80%, the people around you will be able to hear what you are listening to. Wind and noisy environment are problematic for all bone conduction headphones. When there is a strong wind or when you are cycling fast, the roar of the wind can overpower the sound. The same goes for any noisy environment. The fact that your ears are open leaves them susceptible to all the external influences and background noises and they can affect your listening experience. You already know what is AfteShokz, so we won’t repeat that. Trekz Titanium headphones are predecessors of the first pair of headphones on this list (Trekz Air). They are similar to Trekz Air with a couple of noticeable flaws but also with one important advantage. They are slightly less comfortable but they sound a little bit better (they are, in fact, our favorite among bone conduction headphones). Trekz Titanium, unlike Trekz Air, don’t come in a premium box, which is a surprise since they are not much cheaper than Trekz Air. The box is simple, there is a transparent plastic cover on the front side and all the important features are listed at the back. The box contains one pair of Trekz Titanium headphones, one charging micro USB cable, earplugs, soft carrying pouch made of faux leather, instruction manual, and 2-year warranty. There is nothing new about the design, they are very similar to Trekz Air (sporty and stylish), with just a little bit thicker neckband. There are 5 different models available – green, pink, ocean blue, red, and slate grey. This is the first wireless model by AfterShokz that was made of titanium. The neckband is coated with silicone. These headphones definitely look a bit sturdier and more massive than Trekz Air, but to be honest, the difference is not huge. This is definitely a pair of headphones that could withstand heavy use during long periods of time without any issue. The neckband is also bendable and you can twist it as much as you want. Comfort is not an issue – you can wear them for hours. They weigh only 1.27 ounces (only 20% heavier than Trekz Air) and you won’t even notice them. The headband, as well as those parts that go over your ears, are covered with that soft and sleek silicone that feels natural and pleasant. Controls are absolutely the same as those on Trekz Air. AfterShokz didn’t make any change regarding control buttons – there is one multifunction button on the left earpiece (play/pause/answer/end calls) and two volume buttons on the right arm of the neckband (these are also multifunction buttons: + button is also a power button; to initiate the pairing process, you have to press and hold + and – buttons simultaneously for three seconds). The battery is slightly weaker than the one used on Trekz Air. You will probably get 5 to 6 hours at moderate volume. Recharge takes 1.5 to 2 hours. The only difference regarding connectivity between the previous and this model is that Trekz Titanium feature Bluetooth 4.1. All the other features are pretty much the same. The pairing process is quick and relatively simple (it doesn’t start immediately when you turn on the headphones, but you have to press + and – buttons for three seconds). The signal is stable, without any interference and signal loss (even if you move quickly which means that they are great for running or any other outdoor activity). They can be paired with multiple devices simultaneously, just like Trekz Air. Sound quality is the point where these headphones really have no rival (among bone conduction headphones). They offer better and deeper bass than Trekz Air, probably because of the tighter fit. Still, you will get much better sound quality if you buy some average traditional headphones. Trekz Titanium headphones are a great choice for podcasts because all the voices sound clear. Highs are articulate but not detailed enough. It’s our obligation to say that we are not impressed by the sound quality and that you can get much better sound quality for the same price if you buy traditional headphones (this applies to people with normal hearing). Bass still lacks punchiness and mids and highs are far from perfect. Just like Trekz Air, Trekz Titanium don’t isolate any background noise (your ears are open) and they also leak a certain amount of sound but they are still better than any other pair of bone conduction headphones. Oannao is one of many generic brands (probably Chinese) but that doesn’t have to mean that they are crappy. After all, many of these bone conduction headphones are made in China, even those designed in the US or in the UK. There’s a couple of headphones on the market that look and perform just like Oannao but have different names (Gendax, for example). This is some kind of manufacturer’s marketing strategy, so don’t be surprised if you see an identical pair of headphones with some other name written on the box. Oannao headphones are significantly cheaper than the first two models on this list, but they still can’t be considered budget headphones. For a pair of bone conduction headphones, they perform quite well, but for that price, you can get a pair of regular headphones that sounds much better. 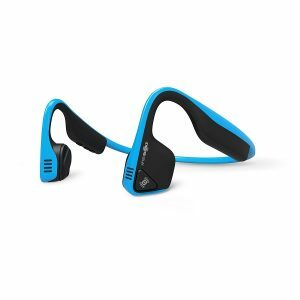 If you really need bone conduction headphones (if you have some kind of hearing damage or need to raise your situational awareness) but you don’t want to splash serious amount of money on AfterShokz Trekz Air or Titanium, these are a good choice. The headphones come in a simple cardboard box with ‘’Design for City Sports’’ caption on the front side and ‘’Suitable for people who jog, run, cycle, etc.’’ at the back. The packaging is decent, but definitely not premium. Inside the box, there is one pair of Oannao bone conduction headphones, charging cable, short instruction manual, and 1-year warranty. You won’t get earplugs and you might want to buy them separately. The shape of the headphones is pretty much standard for bone conduction headphones (sporty and stylish). They are a bit bulkier than previously mentioned AfterShokz models. What makes them interesting and special is the print on them, specifically the print on the ‘’newspaper’’ model. Two models are available – shiny black and newspaper, and we definitely prefer the second. The first one looks a bit more elegant but it’s a fingerprint magnet. The headphones are quite comfortable. There is a rubber grip at the back that improves stability and prevents the neckband from dangling. If you have a big head, you can remove this grip and wear the headphones without it. They don’t make too much pressure on your head but they make more pressure than AfterShokz models. All in all, the comfort is satisfying. The only thing we don’t like is that part that goes over your ears because it’s not covered with a thicker layer of rubber or silicone and it can hurt the top of your ear after a few hours of wearing. Controls are simple and easily accessible. There is a multifunction button on the left earpiece. You can use it to play/pause and answer/end calls. On the right arm of the neckband, there are three buttons – two volume control buttons (+ and -) and power/pairing button with LED indicator. Behind the power button, there is a rubber flap that covers micro USB charging port. The headphones don’t have IPX rating, which means they are not waterproof or water-resistant, but they could probably withstand some sweating. Oannao headphones also feature built-in mic. Oannao headphones use Bluetooth 4.0. Pairing is simple – you have to power on the headphones by pressing the power button for two seconds and then press it again until the LED indicator starts flashing (that means they are in pairing mode) and then enable Bluetooth on your phone, find Oannao headphones on the list of available Bluetooth devices and pair them. You don’t have to repeat this process every time – the next time they will pair automatically. These headphones don’t feature multipoint pairing so you can’t pair them with two or more phones at the same time. Bluetooth range is decent, you will get up to 30ft of range without obstacles. We haven’t experienced sudden signal loss or any other issue regarding connectivity. The headphones feature 260mAh battery that offers up to 5 hours of listening experience and it can be fully recharged in 2 hours. Sound quality is good for a pair of bone conduction headphones. The voices sound clear and articulate and highs are decent but not detailed enough. The best thing you can do with these headphones is to use them for podcasts. Music doesn’t sound great, it’s like it is being played in the background but this is how music is supposed to sound in order for you to be more aware of your surroundings. The built-in mic is ok for indoor use but really poor for outdoor use. The thing that we don’t like about these headphones is durability. They are entirely made of plastic and look and feel very fragile. The weakest part is the neckband, A certain number of customers complained about the neckband breaking at the back. Oannao should definitely make some improvements in the construction department. Different material or some reinforcements would make these headphones much better. People with glasses didn’t find these headphones comfortable. The neckband presses the temples of the eyeglasses too hard against the head. People with big heads might also find these headphones uncomfortable. Recommended head circumference ranges from 48cm to 60cm – if your head is bigger than 60cm, don’t buy it. And now, some standard issues. Oannao headphones are not hi-fi device in any way. Bass is dull and far from satisfying. They are not too loud, but they still manage to leak a certain amount of sound at high volumes. There is no noise isolation (but that’s normal for bone conduction headphones since your ears are supposed to be open). Also, strong wind and loud environment will affect the sound quality and, in some cases, the sound will be completely drowned out by the background noises. JUHALL is another Chinese generic brand. These are very similar to the previous Oannao headphones. The design is slightly different and the control buttons are arranged differently but when it comes to performance, they offer pretty much the same sound quality. Let’s see what else JUHALL headphones have to offer. The box they come in looks quite premium. The whole presentation is much better than the presentation of Oannao headphones and they cost pretty much the same. All the instructions you need are written on the box. Inside, there are JUHALL headphones, micro USB charging cable, one elastic strap for the neckband (if your head is too small you can use it to adjust the size and make the headphones more stable), instruction manual, and 18-month warranty. Carrying case is not included and you can buy one for $13. They are shaped like any other pair of bone conduction headphones. There’s a neckband that goes around your head and then over your ears, and there are two earpieces that go not in your ears but right in front of them. Three models are available – black, blue, and red. The outer side of the neckband is black with a glossy finish on all the models. JUHALL headphones are lightweight (39g) and pretty comfortable. If they are too big for you, you can use that elastic strap that comes with the headphones and makes them more stable. A layer of rubber, silicone or foam on some parts of the neckband would make them even better. This way, those parts of the neckband that go over your ears might cause discomfort after a few hours of wearing. The controls are simple. There are four control buttons. On the outer side of the left earpiece there’s play/pause button, on the right earpiece, there’s a call button, and on the right arm of the neckband, just behind your ear, there are two volume buttons (they are also track-management buttons – you have to press and hold them to play the next or previous song). Behind the volume buttons, there is protective rubbery flap covering the micro USB charging port. Headphones use Bluetooth 4.2. Pairing is simple but this time you have to use play/pause button to turn them on/off and start the pairing process. Bluetooth range is, like in most cases, about 30ft. There were no issues regarding connectivity and signal strength. JUHALL claims that you can pair the headphones with two Bluetooth-enabled devices simultaneously (multipoint pairing). JUHALL headphones have decent battery life. You can use them for up to 6 hours (at moderate volume level) before they need a recharge. The battery will last for up to 10 days in standby mode. Charging takes up to 2 hours. Bass is always an issue with bone conduction headphones. You can feel those strong vibrations when some bass-heavy music is playing but you can’t really hear the bass – it’s kind of dull. The headphones leak great amount of sound at high volumes and all the people around you will hear your music. There is no noise isolation but that’s the whole point of bone conduction headphones – your ears have to be open so you can be more aware of your surroundings. You can buy earplugs (you don’t get a pair of earplugs in the package) and use them if you want to isolate yourself. The built-in mic is not among the things we like. The person you are talking to will hear an echo all the time and your voice will be muffled. Just like all the other bone conduction headphones, these don’t offer satisfactory performance in loud environments or during windy weather. We have warned you that there will be a lot of AfterShokz models on this list. Bluez 2S is the first wireless model of AfterShokz headphones. It’s not perfect and it’s definitely not as good as previously mentioned Trekz Air and Trekz Titanium but they can still compete with all the other bone conduction headphones on the market (and on this list). They are also much cheaper than those two models, so if you want to try this interesting technology and want something decent but don’t want to pay more than $100, Bluez 2S might be perfect for you. AfterShokz paid attention to the presentation. These come in a really nice box. Along with them, you will get a carrying pouch made of some kind of cloth (sturdy case will cost you $13), micro USB charging cable, elastic strap (you can use it to adjust the size and make the headphones more stable if you don’t want the neckband to move up and down), there are also two stickers that you can stick to the neckband (they are reflective and they should make you safer on the road if you are cycling or running), user manual, and 2-year warranty. Some things never change when it comes to bone conduction headphones. The design is familiar – there is a plastic neckband and two earpieces. They are similar to the JUHALL headphones we’ve talked about in the previous review. The first two AfterShokz models look much better than this one and that has to be mentioned. There are 4 available models – neon, red, olive green and black. These headphones are not as durable as the previous two AfterShokz models. Bluez 2S headphones are made of plastic and you can’t compare that with models made of titanium. They are maybe more durable than JUHALL and Oannao because the plastic is a little bit thicker, but they still look very fragile. On the positive side, Bluez 2S are water and dust resistant and IP55 rating proves that. Compared to Trekz Air and Trekz Titanium these are far less comfortable. There is only plastic and no coating of any kind which makes the parts that go over your ear really uncomfortable. This is our only complaint regarding comfort. They are lightweight and don’t put too much pressure on your skull. An elastic strap makes them really stable. If you have a big head, you might not be able to find the right fit (and this is really important for bone conduction headphones because the sound quality depends on the position of the earpieces). Controls are very simple and easy to use. On the left earpiece, there’s one play/pause/track skipping button and on the right arm of the neckband right behind your ear, there are three buttons – power/pairing button, and two volume buttons. There is also one LED indicator and micro USB charging port. Charging port is covered with a rubber flap. The headphones feature Bluetooth 4.0. The signal is strong and stable. Bluetooth range is approximately 30ft (without obstacles). We haven’t experienced connectivity issues or sudden signal loss. Battery life is pretty much standard. You will get up to 6 hours of listening/talking. It will last for up to 10 days in standby mode. Recharge takes 2 hours. Bluez 2S headphones don’t offer perfect listening experience but, as you already know, you can’t expect perfection from bone conduction headphones. For a pair of bone conduction headphones, they are very good. They are still slightly worse than Trekz Air and Titanium. Mids and highs are satisfactory – there’s a decent amount of details there but the bass remains an issue. Built-in mic performs well indoors but if you try to use it outdoors, especially if there is some loud background noise, you will experience some issues. You can probably guess what’s going to be our first complaint. Yes, it’s bass. There is simply not enough punchiness in it. The vibrations are there, you can feel those membranes tickling your skull, but that doesn’t change your listening experience and doesn’t make the bass stronger. Noise isolation is nonexistent but that’s not something you should expect from bone conduction headphones. Loud environment and strong wind make the sound muffled and less understandable. In some cases, the sound will be completely drowned by these loud background noises. Pyle is the first and probably the only world-known audio equipment manufacturer on this list. Pyle became famous for manufacturing woofers and speakers but since the year of 2000, Pyle expanded its business. Today, Pyle manufactures all kinds of home, car, and professional audio equipment, instruments, health and fitness equipment, cameras, drones, etc. Pyle also decided to enter the bone conduction headphones market. COMPLEX headphones are their first and only model of bone conduction headphones and they are comparable to those expensive AfterShokz models (Trekz Air and Titanium). If you need some cheaper alternative (have in mind that these are not budget headphones and that they cost about $80), COMPLEX by Pyle is one of the best choices. The headphones come in a premium box. The box is black and very elegant. COMPLEX headphones are on the top, and when you take them out, you will see the rest of the equipment – pair of earplugs, magnetic charging cable (this is proprietary cable, which means that you can’t use just any micro USB cable but you have to use only this one – if it breaks or stops working, you will have to buy a new one), instruction manual, and 1-year warranty. The shape of COMPLEX headphones is pretty much the same as the shape of all the other bone conduction headphones but they somehow look more sporty than stylish (if we would have to split all the bone conduction into two groups, Trekz Air, Trekz Titanium, COMPLEX, Trekz Sportz, and Longee would be sport headphones, and all the other plastic models would be stylish or elegant headphones). There is only one version available – black with silver details. The headphones are made of hard plastic and they certainly do not feel as fragile as some other plastic headphones. Thick rubbery coating covers all the plastic parts and makes them waterproof with IPX6 rating (they are suitable for sports and can withstand heavy sweating). In terms of durability, they are not better than Trekz Air and Titanium. The neckband is strong but not nearly as strong as the neckbands on those Aftershokz headphones. COMPLEX headphones are definitely better choice than other models made of plastic but don’t expect incredible construction quality and endurance. The headphones have only three control buttons and they are all located on the left side. There is one multifunction button on the outer side of the left earpiece (power and pairing/play/pause/answer/end/reject calls). Volume control buttons (they are also track-management buttons) are located on the outer side of the left arm of the headband and on the inner side, there is a magnetic charging port. The headphones also feature built-in mic (also located on the left earpiece). COMPLEX bone conduction headphones use Bluetooth V4.1. Pairing is simple but it takes too long – you have to hold the multifunction button for 9 seconds to initiate pairing which is simply too long. The good thing is that the headphones are automatically paired with the last paired device every time you turn them on. We haven’t experienced other connectivity issues – the range is about 33ft, and the signal is strong and stable. The battery is slightly better than on those more expensive models. Battery capacity is 200mAh, and you will get up to 6 hours of listening/talking. Recharge takes slightly more than 2 hours (up to 2.5h). In terms of sound quality, these are not better than Aftershokz Trekz Air and Titanium. It probably has something to do with the design of the earpieces. Aftershokz decided to make a couple of openings on the earpieces and improve the sound quality (especially the reproduction of low frequencies) while COMPLEX headphones are completely sealed. The sound coming from the COMPLEX headphones is even duller than the sound coming from AfterShokz models. You can use them to listen to podcasts (voices are clear) but you will not be amazed by the music (and it doesn’t even have to be some bass-heavy music). The built-in mic is not completely useless. You will be able to use it indoors, but if there is too much noise, you won’t be able to hear the other person (earplugs might improve the situation a little bit). Bass is really weak on these. Advertised frequency response is 100Hz-15kHZm which is far from good. Highs are also not clear enough. Noise isolation doesn’t exist since your ears are open. If you want to concentrate more on music, you can use earplugs that come with the headphones. If there is too much noise or wind, the sound gets weaker and quieter. Borofone is another generic brand, probably Chinese. The thing that we noticed after a short internet search is that Borofone is the same thing as JUHALL, Oannao, or Vidonn and these headphone models are made by the same factory. There is a pair of Borofone headphones that looks absolutely the same like JUHALL headphones that we’ve reviewed. Also, there is Vidonn F1 model of headphones that’s identical to this Borofone model. Now that you know all about these different models made by the same manufacturer, let’s talk about Borofone bone conduction headphones. These are another alternative to AfterShokz Titanium and Trekz Air because it’s made for sports, but it’s definitely not our first choice (COMPLEX and Longee headphones are, in our opinion, better alternatives). Borofone headphones come in a stylish box (presentation is almost better than the product itself). Inside this box, you will find a pair of Borofone bone conduction headphones, micro USB charging cable, a pair of earplugs, user manual, and 18-month warranty card. You won’t get any carrying case. There is nothing new about the shape or design. These look like any other pair of bone conduction headphones made for sports. They definitely look more sporty than elegant. The only available model is black with yellow details. They are made of titanium and then covered with silicone. The neckband is strong and you can stretch it, twist it, and bend it as much as you like. The headphones look quite durable and well-made. We have no complaints regarding durability. Additionally, Borofone headphones feature IPX5 rating which means they are water resistant. They can survive heavy sweating and even water jets, but they are not completely waterproof (you can’t swim with these). The headphones feel comfortable. They don’t put pressure on your ears or on your skull. The weight is not an issue – they weigh only 38g. The only problem is that you can’t adjust the neckband size – if your head is too small or too big, you might not be perfectly happy with the amount of comfort. All the controls, as well as charging port and built-in mic, are located on the left side of these headphones. One multifunction button is located on the outer side of the left earpiece and you can use it to play/pause/answer/end/reject calls/skip track (by double-clicking). Volume controls (+ and – buttons) are located on the left arm of the neckband. + button is also a multifunction button. You can use it to increase the volume, power on, power off the headphones, and initiate pairing process. Right next to the volume controls, there’s charging port. The built-in mic is on the left earpiece, right below the multifunction button. Bluetooth 4.1 is what makes Borofone headphones wireless. We haven’t experienced any issues regarding range or signal strength. Pairing is really simple and it’s done in a few seconds. The headphones will pair automatically with your phone after the initial pairing. Multipoint pairing is not possible (you can’t pair two devices simultaneously with these headphones). Bluetooth range is even longer than advertised (approx. 35ft without obstacles). Battery is not the greatest feature of these headphones. Borofone headphones feature 180mAh battery. You will be able to listen to music or talk on the phone for up to 4 hours. Standby time is approximately 10 days. Recharge takes up to 2 hours. Sound quality is pretty good for a pair of bone conduction headphones. Still, it’s better to use them for podcasts than for music. Mids and highs are pretty clear. The headphones are pretty loud (probably one of the loudest on this list), but the sound gets distorted at high volumes. As always, the bass is tiny. There is that tickling sensation that’s supposed to make you feel the bass but you won’t be able to hear it. Sound leakage is a big issue. A huge amount of sound leaks at high volumes and this is not something we can ignore. All the people around you will be able to hear what you are listening to. Sound gets a lot weaker and quieter when there is too much background noise or wind. You can eliminate this issue by plugging your ears, but then, you won’t be aware of your surroundings and that’s kind of the point of wearing bone conduction headphones. Wired Sportz Titanium are the last Aftershokz headphones on this list. They are also the only wired model on and the cheapest pair of headphones on this list (the only pair under $50). They are definitely not the worse pair of bone conduction headphones in terms of performance (they cost less only because they are not wireless). The biggest issue, besides the cable, is very noticeable sound leakage. The headphones come in a nicely designed box. It’s nothing premium but it looks quite appealing. The packaging is not that rich – you will find there your wired bone conduction headphones with battery pack, micro USB charging cable, black carrying pouch (this one doesn’t look safe enough but you can buy a sturdy case for $13), user manual, and 2-year warranty. Wired Sportz Titanium look basically the same as Trekz Titanium. The biggest difference between these two (besides the obvious – Trekz Titanium are wireless and these are not), is the thickness of the neckband. Sportz Titanium wired headphones have thinner and lighter neckband (because they don’t have battery attached to the neckband). Three models are available – blue, black, and red. Sportz Titanium are very strong and durable. The frame is made of titanium and then reinforced with silicone. The cable is probably the weakest part and it’s really thin. Just like all the other AfterShokz models with a silicone coating, Sportz Titanium are very comfortable. They are lighter than any other pair of AfterShokz headphones – you won’t even notice that they are on your head. Unfortunately, the cable is there to remind you of that. The cable is, again, the only thing that ruins the impression. It’s not that distracting, but it is there and it’s annoying. The headphones have battery pack located right next to 3.5mm jack. If you don’t understand why there is battery when they are wired, here is an explanation – these headphones have to vibrate hard to enable bone conduction and the battery is necessary to amplify those vibrations. There are no control buttons on the battery pack nor on the headphones (except the power button on the battery pack) and you will need to use your phone if you want to increase/decrease the volume, change track, play/pause, etc. Battery offers up to 12 hours of continuous playback and recharge takes 2 hours. This is one of the best features of these headphones. Compared to other bone conduction headphones, wired Sportz Titanium headphones offer satisfying sound quality. Mids and highs are pretty clear and articulate. Voices sound really good – these are great for listening to podcasts. They can also get really loud. The obvious thing first – these have cable. It’s not too distracting, but it’s still there. The position of the battery pack is not great and it’s too near to the end of the cable and you will have to put it in your pocket if you don’t want it to dangle around. These headphones don’t have a built-in mic and you will have to take out the phone, unplug the headphones, and answer the call every time the phone starts ringing. As you already know, bone conduction headphones have poor bass and these are not an exception. Bass lacks punchiness and it gets quite distorted at high volumes. We have already said that Sportz Titanium headphones can get really loud but with that kind of loudness, sound leakage is inevitable. These headphones leak great amount of sound even at 50% volume. When there is too much background noise or wind, the sound gets much quieter and, in some cases (really strong wind or noisy street), it gets completely drowned out by the noise. Longe is another relatively affordable pair of headphones. They cost less than $80 which might seem a bit too much but considering the prices of other models, you can’t go much cheaper when it comes to bone conduction technology. The cheapest models cost about 50$ and these are definitely better than those cheaper models, especially in terms of durability and comfort (unfortunately, the sound quality is the same). The presentation is not premium and you won’t be fascinated but it’s actually nice. Inside the box, there are Longee headphones, micro USB charging cable, sponge pads (you can cover the earpieces with these and get better comfort and better listening experience), user manual, and small carrying pouch. The basic shape is the same as the shape of any other pair of bone conduction headphones. These headphones remind us of the first two Aftershokz Trekz models from the list (Titanium and Air). They look much stronger and more visually appealing than all those plastic headphones. There are three versions available – blue, red, and grey. The headphones look really durable. The neckband is made of the material called memory metal with a silicone coating. They can be twisted and bent and they won’t break which makes them more suitable for sports than plastic models. 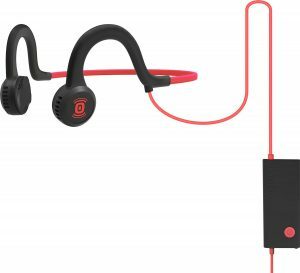 If you need wireless headphones for running or cycling and you don’t want to buy those expensive Aftershokz headphones, Longee headphones are a great alternative. The headphones are lightweight and don’t put too much pressure on your skull. In terms of comfort, they are definitely better than any pair of bone conduction headphones made of plastic. Silicone feels much more pleasant than plastic. We don’t really have any complaints regarding comfort. They are suitable even for people with glasses (there is some interference, but it’s not annoying or painful). Along with the headphones, you will get those sponge pads and if you decide to use them, you will make the headphones even more comfortable. The only problem might be the size of your head – if you have the opportunity, try them before making the purchase. Control buttons are really simple. 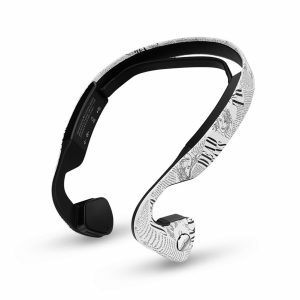 There are four of them – one multifunction button on the left earpiece (play/pause/answer/end calls/skip tracks), and 3 buttons on the right arm of the neckband (power/pairing button, and volume controls). Longee headphones feature Bluetooth 4.1. Connectivity is not an issue. Pairing takes a few seconds, Bluetooth range is approximately 30ft, the signal is strong, and even if you move a lot, you won’t experience any signal loss. Battery is not the best feature of Longee headphones. This is, in fact, the worst thing about them. You will get up to 4 hours of listening/talking on the phone if the volume is at 50-60% which is not impressive (other wireless bone conduction headphones offer up to 6 hours). Recharge takes up to 2 hours. Sound quality is not perfect but it’s not really that bad. Mid tones, voices, and treble are quite clear. Highs get a bit muddy at high volumes. Our recommendation is to use them for podcasts. They can be used for music but if you prefer heavy bass, you won’t be happy. Built-in mic offers satisfactory performance when the background noises are not too loud. Noisy environment and wind could make this mic pretty much useless. Bass is not nearly as deep and punchy as we would like it to be. Some people like the change in performance that comes with sponge pads but to be honest we don’t think that there is some huge difference. Sponge pads definitely improve the comfort, but when it comes to sound quality, the improvement is not really that noticeable. These headphones can get really loud but the problem is huge sound leakage. Raising the volume above 50% will definitely cause some leakage, and if you crank the volume up to the maximum, all the people around you will hear your music loud and clear. Noisy environment and windy weather can ruin listening experience because the sound gets almost completely drowned out by the background noises. At the beginning of 2019, the most reputable bone conduction headphone manufacturer announced two new upcoming models. The first one is called the Xtrainerz and it’s made by the AfterShokz. The second one is made by the AfterShokz’s daughter company called OptiShokz and it’s a bit different from all the previous AfterShokz bone conduction headphones. These are, in fact, bone conduction sunglasses (sunglasses with built-in bone conduction transducers). Xtrainerz and OptiShokz Revezz are supposed to hit the market in February/March of 2019. In the text below, you can find a few more details about these upcoming models. AfterShokz Xtrainerz headphones are supposed to be the most durable bone conduction headphones so far. Not only the most durable AfterShokz headphones, but the most durable bone conduction headphones ever. They are IP68-certified which means they are fully dustproof and waterproof, but that’s not the only special thing about them. The only thing you couldn’t do with the previous AfterShokz headphone models was swimming. All the previous models, including the most expensive ones (Trekz Air and Trekz Titanium), were IP55- certified. They were not completely waterproof but that wasn’t the only thing that prevented you from using the headphones when swimming. The other problem was the Bluetooth connection – the water tends to interfere with the Bluetooth signal and hinders Bluetooth streaming. The AfterShokz’s team came up with a simple solution, but there’s a chance that you won’t like it. They ditched the Bluetooth connection and built a small 4GB storage into the headphones. These bone conduction headphones are, at the same time, a portable player. In terms of design, Xtrainerz headphones are very similar to the previously mentioned Trekz Air and Trekz Titanium. The shape is basically the same – there are two earpieces connected with a short neckband. Xtrainerz feature slightly shorter neckband and provide tighter fit, but they are still very light and comfortable. When it comes to build quality and durability, Xtrainerz are better than any previous AfterShokz headphones. They are made of titanium and reinforced with silicone. The shape and the design of the earpieces are slightly changed – they removed the apertures and changed the charging method. The earpieces are completely sealed and, instead of the standard micro USB charging port, there’s a clip-on proprietary charger. Because of these two changes, Xtrainerz headphones are IP68-certified. They are fully dustproof and can withstand full immersion in water (up to 6ft depth). The manufacturer also claims that they won’t be damaged by the sea water. If you have used any of the previous Aftershokz headphones, using the control buttons on the Xtrainerz won’t be an issue. There are 4 control buttons on the right neckband arm – 2 volume buttons, one multifunction button between them, and a small mode button on the back side of the sidebar on the right neckband arm. The headphones are completely wireless. A small built-in battery can provide up to 6 hours of music playback per one charge. The charging takes 1.5 hours and there’s also a fast charging feature which enables you to use the headphones for up to 2 hours after 15 min of charging. When it comes to potential downsides and deal breakers, AfterShokz Xtrainerz headphones do not feature Bluetooth which means that you can’t use your phone to stream music. The good thing is that you can store up to 1000 songs on the internal storage. Since there is no Bluetooth, you cannot use these headphones to answer/make calls. These headphones are primarily made for swimming, but you can use them whenever you don’t want to bring your phone with you. Another inconvenient thing is the proprietary charging cable. You won’t be able to use just any USB to micro USB charging cable. The headphones will be priced under $200, probably closer to $150. Sporty OptiShokz Revezz are not the first bone conduction sunglasses on the market. You can already find some models (like ZUNGLE) on Amazon. These bone conduction sunglasses are made by the OptiShokz, which is a daughter company of the AfterShokz. They announced the upcoming release on Twitter less than a week ago and they are supposed to hit the market in February of 2019. You can join the waitlist on the OptiShokz website and get a 35% discount. The sunglasses will be priced under $200, but if you join the waitlist or sign up for the early bird pricing, you will get them for less than $100. The sunglasses are a bit weird-looking but that’s kind of expected considering the purpose and the fact that these are ‘’2 in 1’’ product. The bone conduction transducers are located at the ends of the arms and, unlike all the Aftershokz headphones, these transducers are supposed to go behind your ears (not in front of your ears). The working principle is still the same – they bypass the outer ear, ear canal, and eardrums, and send the sound waves (vibrations) directly to the inner ear. Unlike other bone conduction sunglasses, these are not bulky. The arms are quite slim and the lens is made of one piece and it’s easily replaceable. There’s a variety of different colors available, but we don’t have the information if all the lenses are polarized and have UV protection. The control buttons are on the right arm and look basically the same as the controls on AfterShokz Trekz Air or Trekz Titanium headphones. The sunglasses are IP55-certified (water and dust resistant). The buttons, as well as the earpieces, are rubberized. The sunglasses are Bluetooth-enabled. They feature Bluetooth 4.2 and you can use them to stream any audio content from your phone. They also feature two noise-canceling built-in mics and can be used for answering/making calls. The battery inside the OptiShokz Revezz sunglasses can deliver up to 6 hours of music playback. The recharge takes less than 2 hours. When it comes to sound quality, they are not on par with the AfterShokz TrekzAir or Trekz Titanium due to different positioning of the transducers, but they are still better than other bone conduction sunglasses. Like all the other bone conduction headphones/sunglasses, they offer poor noise isolation and unimpressive bass reproduction. We have almost reached the end of our article. 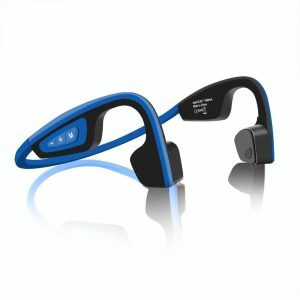 Hopefully, you have enjoyed reading about bone conduction technology and about 9 best bone conduction headphones. Before you leave, let’s make a quick retrospective of all the things we’ve mentioned and put an emphasis on all the important things regarding bone conduction headphones. All the bone conduction headphones look alike – they all have that sporty look with a neckband going around your neck and two earpieces sitting on your temporal bones (just in front of your ears). There is no too much choice when it comes to design, you can choose a slightly different shape and color, and that’s it. On the other hand, not all bone conduction headphones are equally comfortable. They should be considering the fact that they all look like they are made for sports, but NO. Comfort highly depends on the material that was used (for example, silicone is much better than plastic). If you just want to try this ‘’new’’ technology, then you don’t have to pay that much attention to durability, but if you want something that will last, then construction quality should be at the top of your priorities. In our opinion, AfterShokz headphones offer the best durability, especially Trekz Titanium, Trekz Air, and Sportz Titanium. Durability is really important if you are going to use them for sports (hiking, cycling, running, etc.) Additionally, you might want to buy a pair that is at least splash resistant (IPX4). If you want sports headphones, you should look for those without cables. If you need headphones for any other activity, wires are not such a big issue. If you want to buy wireless headphones, then you should pay attention to two additional things – battery and connectivity. Having a great pair of wireless headphones with poor battery is worse than having wired headphones. You should establish some criteria regarding battery durability – if you are not going to use your headphones for more than 2 hours per day, then some battery that offers up to 4 hours of listening will be more than enough. In terms of connectivity, you should pay attention to the range and Bluetooth signal quality. The best thing would be to try the headphones before making the purchase. As you know, you can’t expect perfect sound quality from bone conduction headphones. There are a few common issues regarding sound quality (we are going to talk about them in the next section) but most of the bone conduction headphones are good enough for podcasts and some music genres. In general, you can expect an unimpressive bass response (some are better than the others), articulate and sometimes really detailed mids, and decent highs (but they usually lack some clarity). If you’ve read our list, you’ve probably noticed that we often talk about these issues. Some flaws are, more or less, common for all bone conduction headphones. These flaws are mostly caused by the type of conduction and by their design. We have said this so many times and we’ve mentioned this issue in almost every review. Bone conduction headphones are not capable of reproducing low frequencies. Some are better than the others but the lack of bass is a common issue and if you are a bass head, you won’t be happy with bone conduction headphones. Something might change in the future, but at this moment, bone conduction headphones are far from perfect (even those really expensive models) especially if you have normal hearing. People with hearing impairment will probably be much happier with their performance than people with normal hearing. Using bone conduction headphones can be impossible in some situations. Strong wind, as well as loud spaces, will affect the headphone performance and your listening experience. In some cases, the sound might get completely drowned out by these things and you won’t be able to hear a thing. This happens because your ears are left open. Earplugs are sometimes included in the package (you get a pair of earplugs along with some headphones) and you can put them in your ears but that makes you less aware of your surroundings (and one of the purposes of these headphones is to allow you to be more aware). Even though they are not too loud, bone conduction headphones leak a substantial amount of sound. Honestly, we were surprised by this issue. We’ve expected them to vibrate and not make a sound, but the earpieces are in fact small speakers that also vibrate. The earpieces are not in or on your ears, so the sound is not directed towards your ear canals but it gets dissipated all around you. If you are sitting in a room (or in a bus) and listening to music, the person standing next to you will be able to hear everything. Here’s an interesting fact – bone conduction headphones are very useful to people with different types of hearing impairment but they can cause hearing damage, too. The only difference between these and traditional headphones is that bone conduction headphones affect different parts of your ear (inner ear). Listening to loud music for long periods of time is always bad – it doesn’t matter which type of headphones you are using. Still, we think that bone conduction headphones are at least less harmful than traditional headphones. We have come to the end of our article on 9 best bone conduction headphones. Hopefully, you have learned something new and/or found a pair of headphones that suits your needs. If you liked this article, please share it and subscribe to our mailing list for more interesting lists and reviews. Hi, a thing I’d like to know about Pyle PSWBT550 – do you know how long can I play music without recharging them? Pyle PSWBT550 bone conduction headphones feature 200mAh rechargeable battery. The battery delivers up to 6 hours of playtime at 50-60% volume. The recharge takes 2-3 hours. If you are considering this model, we have to warn you about the build quality. They are IPX-6 certified (water resistant), which is good, but they are simply too plasticky. 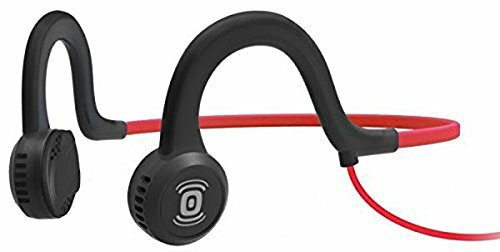 If you are going to use these headphones for your workouts or during cycling and similar activities, you might need something lighter, thinner, and more durable (something like AfterShokz Trekz Air or Trekz Titanium). Pyle PSWBT550 headphones are good enough for non-sporting activities, but they wouldn’t be our first choice when it comes to sports. First of all I have to say these aren’t made for audiophiles. However, if you are looking for quality wireless headphones they are great. There is no sound leakage, even on high volumes. They are easy to set up and can be paired with your smartphone easily. 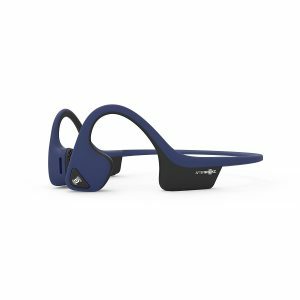 The overall experience with the AfterShokz Trekz Titanium is awesome. I need your help, Trekz titanium or Bluez 2s. Can you help me decide what model to buy? There are a few important differences between the two models. Trekz Titanium is a few bucks pricier but that’s not going to be the decisive factor. What’s much more important is the Bluez 2S headphones are made of plastic, they are kind of flimsy and less durable than Trekz Titanium (which are IP55 certified). Trekz Titanium headphones are also much more comfortable than Bluez 2S. Both headphones offer similar playtime and very good and reliable Bluetooth connection. Titanium headphones deliver slightly clearer sound but they both struggle with bass response. Our choice would be Trekz Titanium. Hi, after reading through your article I can see that AfterShokz bone conduction headphones are quite popular. However, if you had to choose one of the four you have reviewed, which one would it be? We would pick Trekz Titanium. The difference between Titanium and Air is not huge (in terms of performance), but the price difference is significant. Buying Trekz Titanium would save you some money and you would get even better sound quality (better bass response). What about Drone Technic’s Bone Conduction Headphones. They were not included in the list reviews. The DT Beethoven bone conduction headphones are very well designed and sound quality is one of the best for bone conduction headsets. Thank you for your comment and your suggestion. To be quite honest, we haven’t heard of Drone Technic’s bone conduction headphones. What’s even sadder, we couldn’t even google them. If you don’t mind, send us a link and we will try to obtain them and test them. I couldn’t imagine my morning workout without my AfterShokz Trekz. I sweat extensively and they work perfectly. They are very comfortable and they don’t move at all! Thanks for sharing your thoughts on AfterShokz Trekz headphones. We are big fans, too. Last year I buy my first pair of AfterShokz bone conduction headphones. It’s very easy to connect to my iPhone 7 Plus. This headphones are also comfortable, too. Running every single day with them…. 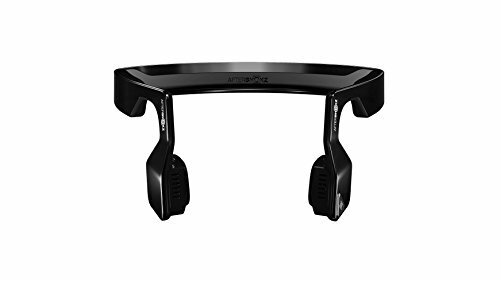 If you want to buy headphones that will play your music on your run and still allow you awareness of vehicles around you then you must have this amazing AfterShokz bone conduction headphones. Thanks for the article and it really helpful for me. Can you do me a favor to clarify that will Bone Conduction headphones work with Cochlear Implants ? If yes then which headphones being suited for me. We are not experts on this matter but, we’ve spent some time reading about differences between cochlear implants and bone anchored hearing devices and, based on what we know, bone conduction headphones can’t work with cochlear implants. You should also ask your doctor for the opinion, just to be sure.